For many families, the holiday season is a festive time filled with busy days and beloved traditions. But for some, the holidays can be a time of loneliness and even depression. 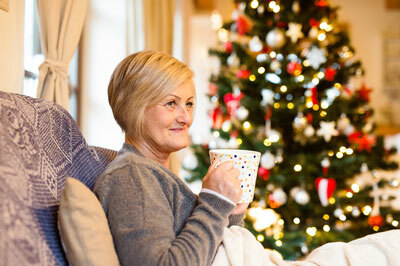 Sadly, seniors often find the holidays to be one of most difficult times of the year. Why Seniors May Experience the "Holiday Blues"
Psychotherapist Joyce Marter, LCPC, points out several reasons for seniors to feel especially lonely around the holidays. Perhaps your patient is grieving for a beloved mate who has died, or perhaps he or she is having trouble adjusting to physical or mental decline that will alter the pattern of the way holidays have been traditionally celebrated in the family.